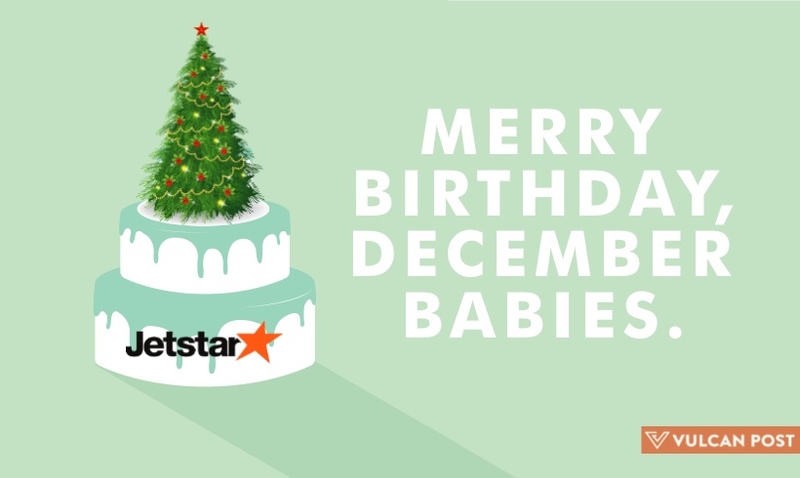 Jetstar Is Giving December Babies Secret Birthday Presents! December babies get it hard. Not only is it the closing month of the year, the part they look forward to — their birthday, duh — somehow also clashes with the festive season of Christmas. This means lots of joint birthday presents and themed birthday parties that take the focus away from them — people born in December seem to get a raw deal. Jetstar Asia (which also happens to be a December baby) is turning 11 next month, and in its latest campaign for Singapore travellers, has decided to put the spotlight on all December babies who have felt forgotten or penalised by their unfortunate birth month being overshadowed by the trappings of the festive season. “We know how it feels when your birthday gets overshadowed by Christmas and the holidays. Jetstar wants to bring back the smile to December babies, and encourage their friends and family to give them a real birthday this year,” says Chantal van Wijnbergen, Regional Marketing Manager SEA. 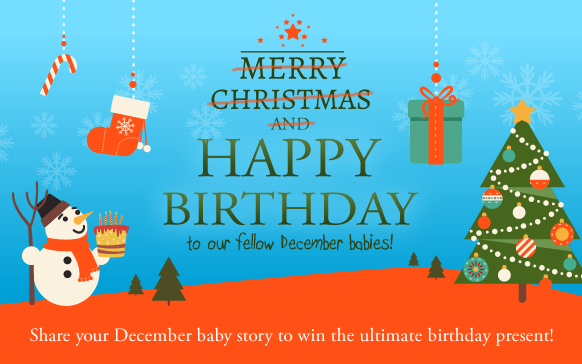 Those born in the month of December are invited to share their December Baby story on Facebook, Instagram or Twitter with the hashtag #JetstarDecemberBaby for a chance to win the “ultimate birthday present” from Jetstar. Friends, family, and if you know anyone born in December lamenting their fates — you’re welcome to nominate them to share their story. There will be 11 winners in all — very generous of Jetstar, eh? The competition comes to an end at midnight on November 30. Winners must be contactable on December 1, and be present in Singapore on December 7 and 8 to be eligible to receive their prize. We don’t know what the “ultimate birthday present” is, but people seem to have the urge to travel at the end of the year so make sure you have your check-in luggage on standby! And for those who bought a pair of festive socks for a December birthday friend, we suggest you exchange it for something nicer (and non-Christmassy).